New for 2017, the College Module explored how and why we think the way we do at a university, and why it is important. 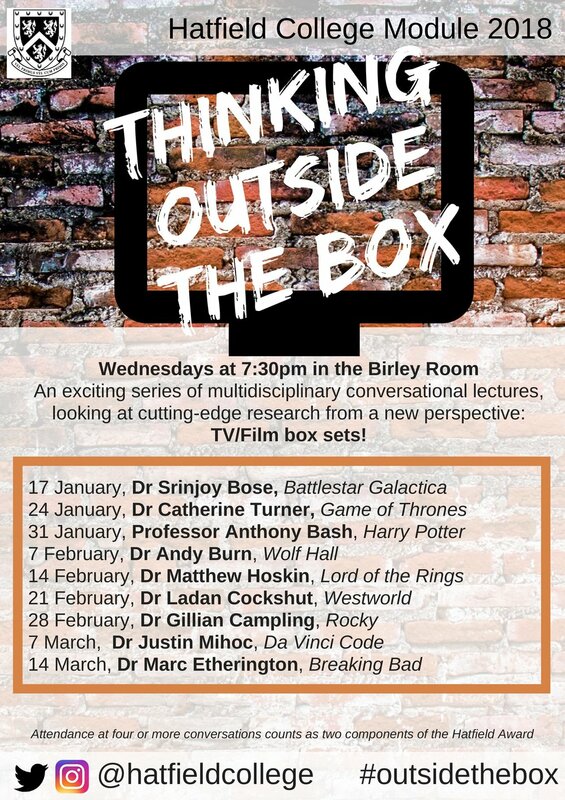 Led by various academics, this was an exciting scholarly series of 8 conversations for the intellectually curious ; in 2018 it is entitled 'Thinking Outside the Box'. Attendance at four or more of the College Module talks will count for two components of the Hatfield Award. Only three components are needed to apply for Bronze (Silver requires 4, Gold 5). Attendance at between 1-3 College Module talks can count for 1 component.